The first in a series of county focused podcasts sees Dan Bannon of louthandproud.com join Conor Donnelly to talk all things Louth GAA. The “Wee County” Footballers got off to a dream start in the 2014 Championship with a 1-14 to 1-9 victory over Westmeath in Mullingar. Dan tells us about the Leinster side’s progress under Aidan O’Rourke, the players to be looking out for this year as well as their hopes for the 2014 campaign. 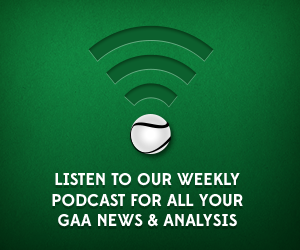 Follow the GAA Scores podcast team on Twitter here @conorjdonnelly, @MichaelOConnor4 and @CorcoranPearse.